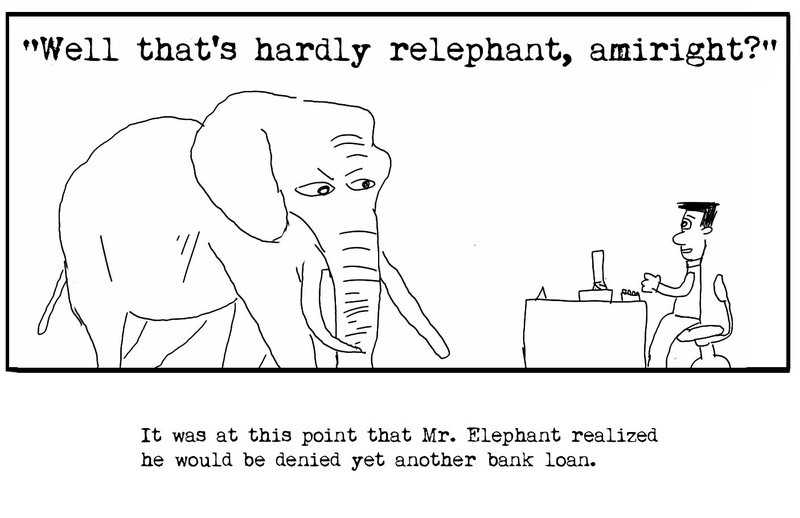 This entry was posted in cartoons and tagged cartoon, comic, drawing, elephant, finance, funny. Bookmark the permalink. Seems like he got dogged again by the catty remark.